The Sealy Cot Mattress – 132×66 will play a major role in the early development of your little one. Your baby will need the best support in the early days since they will sleep most of the day every day! 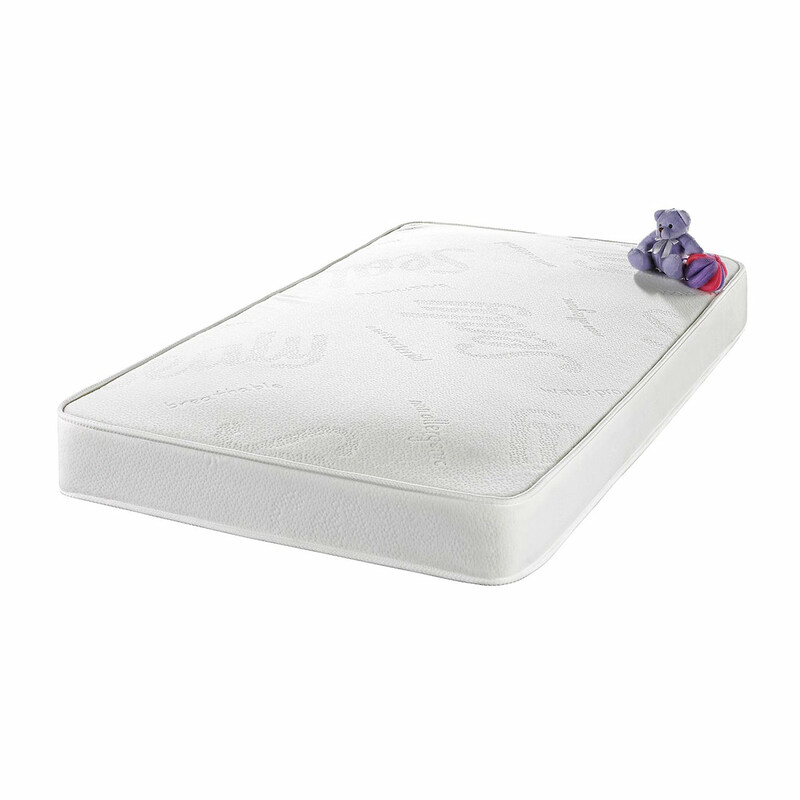 This Sealy cot mattress will give your baby the best possible support they will need. It is made with non-allergenic fabric with an antibacterial finish to keep your baby healthy. The PU film barrier protects the mattress against any dust mites and makes this mattress waterproof. This Sealy mattress has a low profile pocket innerspring system that will support the baby’s body while it is still growing. This cot mattress is plush, yet has a gentle sleeping surface that is made from imported soft knitted fabric which provides incredible comfort to your little one. You can wipe this mattress with a damp cloth and mild soap, but do not use too much water as it will affect the layers of this mattress. The unique Sealy innerspring system gives it the durability and strength it needs to last for a very long time! Each mattress includes a Soft Touch Bamboo waterproof cot mattress protector.